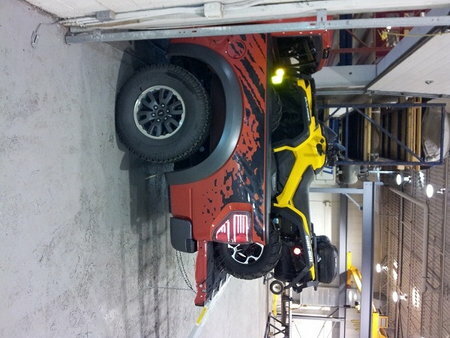 Here is a few pics of the outlander 1000 in the bed of my Raptor. Tires sit over hinges on tailgate. The cables aren't even tight. I am going to protect the tailgate from rock chips just haven't quite figured that out yet. clear bra the painted area of the tailgate. I've ridden the long wheel base version of that quad, absolutely fantastic machine. You can carry an amazing amount of speed through the rough stuff with it. 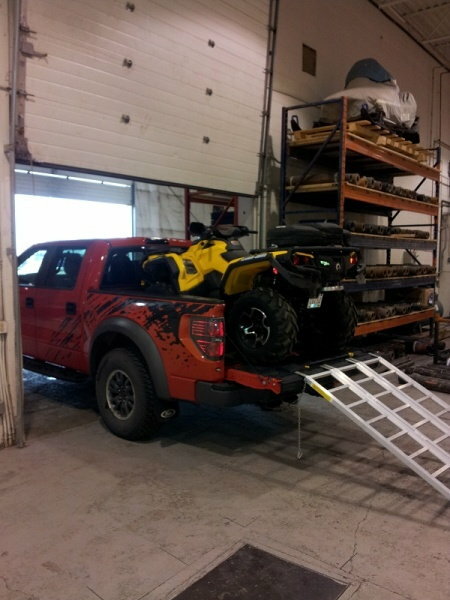 That being said I dont think the LWB version will fit now that I see how yours fits.